XLPL Ekiden relay running race • Poznań Marmite S.A. Sport, integration and mutual assistance – we managed to successfully combine these three elements during the XLPL Ekiden marathon! The overall route to cover was 42,195 km long. The first two teams had to cover the longest distances – 9,795 km and 10,8 km. The next four legs had to encircle a lake once – a loop of 5,4 km. Our Company was represented by three teams, 18 runners in total! After a successful race, everyone was waiting for the icing on the cake – to collect a medal. As the XLPL Ekiden bares roots of Japanesness, the medals were handed out by girls dressed as geishas. All 6 medals formed a consistent pattern which alludes to the team spirit of the relay. A very positive aspect of the XLPL Ekiden race is its charitable aim. 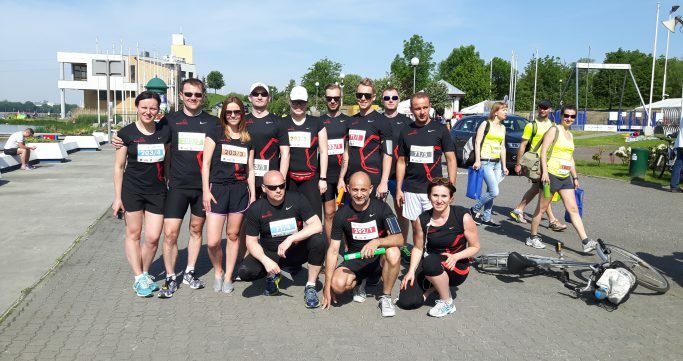 Each team competing in the event donated the amount of PLN 42,19 to a “Dar Szpiku” Foundation.